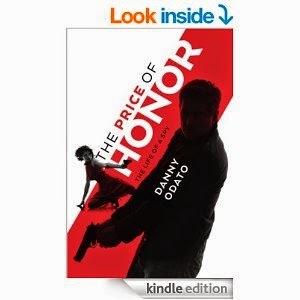 If you want a fresh spy novel from an author you're not familiar with (yet), look no further than "The Price of Honor." The story follows US spy James Coville as he goes undercover in Soviet Russia as Adam Novakova. His interactions with KGB agent Natalya Sverlova prove to be incendiary, and the pair find themselves on an edge-of-your-seat ride that keeps you wanting to know more. If there were one thing that I'd want potential readers to know, it is that this is a psychological spy novel. There is lots of action and suspense, but there are also lots of secrets and battles of wits. The main character is contemplative, and the reader gets to see his thought processes all the while. The main theme in the novel is that the main character has to make sacrifices to perform his job, and he occasionally reflects on this training with the CIA, his home in Montana, etc. The interactions between James and Natalya are extremely engaging, and the other more-minor characters are well-written. The plot is paced well, and you won't find yourself getting bored (or putting this book down once you pick it up). The ending delivers all you want it to (and more). This is a fantastic buy for anyone who likes smartly written spy novels with psychological aspects as well as suspense and action. I'll definitely be looking for the author's next novel. Thank you for sharing This knowledge.Excellently written article. Inspired and I thank you for your message.Please keep it up!